Claim Jumper’s fame comes not only from food made from the best ingredients, but also from the American Craftsman atmosphere that makes you feel right at home. Our choices of dishes range from pasta and pizza to Certified Angus Beef®, guaranteed to have something delicious for everyone. Kick back at our saloon to find an extensive wine list, signature cocktails, specialty non-alcoholic beverages and imported and American craft beers including Claim Jumper’s own Honey Blonde, Original Red Ale and Hefeweizen. We’re proud that each of our locations offers a cozy interior, remarkable dining and a friendly environment. 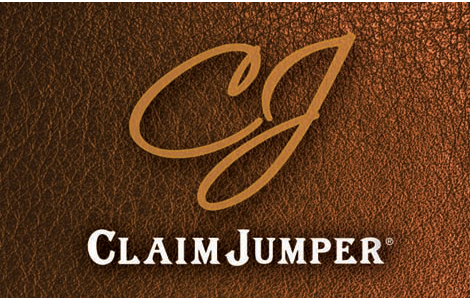 National Gift Card is the best place for you to order Claim Jumper gift cards in bulk. We are the experts in all things gift cards and can set up your gift card solutions program for you today. Please contact us for more information on bulk, direct-to-recipient, or individual gift card fulfillment for your gift card program. Contact us here or call us at 888-472-8747 today!